It's true: I am not writing a UFO book. I know that sounds a bit like Leonard Nimoy writing a book called, "I am Not Spock." 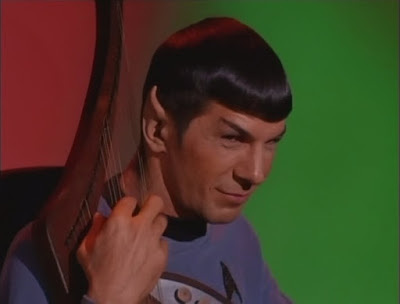 Of course he was Spock, and he eventually realized that was a good thing and wrote a sequel called, "I am Spock." Sometimes you just have to admit that you ARE Spock. So, while I am writing a book about the world's best known UFO expert, I am not writing a UFO book. I am writing a book about a really interesting guy who was fascinated by UFOs and the challenge they presented to science. Like the subtitle of the book says: Hynek made it okay for the world to believe in UFOs, and how he did it is a hell of a story. I've been thinking about this a lot lately as my publisher's deadline looms (T-minus 3 months and counting!) and I make my daily decisions about what to include in the book and what to leave out. More and more I realize that my book probably will not make a lot of UFO fans happy. My book will not prove or disprove anything. It does not have an axe to grind. It will not conform to conventional wisdom of the UFO community. It will not get me invited to "Contact in the Desert." Not that I don't think UFO fans will enjoy the book. I hope they do. But I am not writing it just for them. I am writing it for a general audience that is curious about UFOs and wants to learn more about the phenomenon and the man who, in his words, made it "safe to utter the words 'flying saucer' at the dinner table without having to worry about getting your mouth washed out with soap.'" Having said that, there are a LOT of UFOs in the book. I can't expect every reader to know the history of the phenomenon, and they have to have some grounding in it to be able to understand and appreciate Hynek's accomplishments. There's even going to be some mention of Roswell, something I swore a long time back that I would be avoiding. 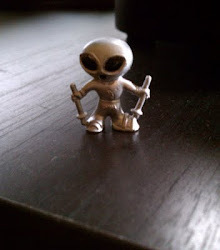 But it's not going to be your father's Roswell, if you know what I mean. That reminds me, yesterday I was reviewing an interview I taped for the book, and at one point I asked the person a question about UFO history... 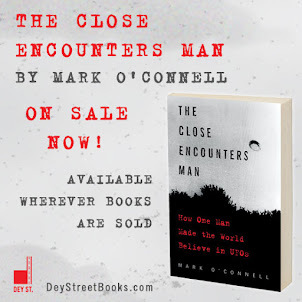 The person started telling stories and suddenly he paused, sighed, and said something to the effect that "A lot of people in the UFO field just don't like each other very much." Listening to that again made me laugh and then reflect, and admit that I know it's true because I don't like a lot of people in the UFO field very much. I don't like people who try to feed me misinformation for my book. I don't like people who insist that if I don't interview this person or that person for my book the book will be worthless. I don't like people who contact me without introducing themselves but expect me to just automatically know who they are and what they represent to the UFO community. I don't like people who contact me and insist that I just have to interview them for my book, and then send me dozens of links to things they've written "proving" Hynek was a fraud. Guess what? People who do that don't actually want to talk about Hynek; they want to talk about themselves. I know this from one excruciating hour-long interview with a UFO expert who wanted to tell me about Hynek, then proceeded to talk about himself non-stop. When he finally paused for breath, I asked him a question about Hynek. He gave me an incomprehensible answer that had nothing to do with what I had actually asked him, and then he said in a huff, "Now, can I get back to my story?" Those people don't get into my book. I will tell you about someone I do like, though. I recently interviewed James Oberg for the book, thinking it would be nice to get the skeptic's point of view on Hynek and his work. I wasn't sure what to expect, and I feared that the conversation might be difficult. Surprise! Not only was Mr. Oberg perfectly pleasant to talk to, I ended up thoroughly enjoying our conversation and liking him a lot. So, that's my mission for the next three months: focus on the good people, filter out the bad ones. Wish me luck!